A dedicated boat trip, 18 hours of observation and a new regional coordinator helped Dorset notch up three sightings during the most recent National Whale and Dolphin Watch. 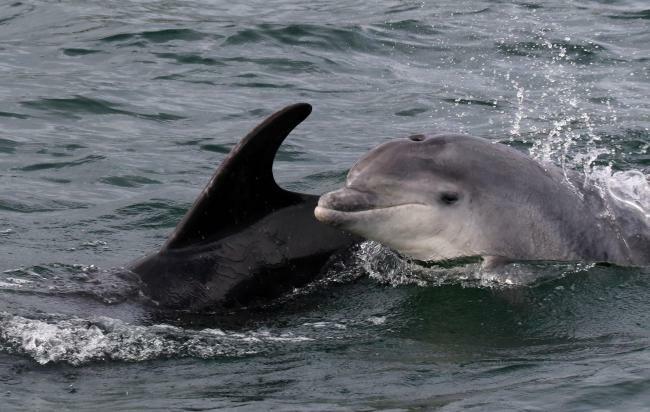 The three recorded sightings of bottlenose dolphins all took place in Portlandharbour. The nationwide event took place between July 29 and August 6 last year, and was the 16th year of the growing citizen-led scheme to record marine mammalian life in the UK’s coastal waters. The previous year, however, no one from Dorset had volunteered to coordinate the county’s watch. This meant that no data was recorded and no sightings reported. For the 2017 watch, organisers the Sea Watch Foundation put out a plea for Dorset’s nature-lovers to offer their time, and were answered by a large number of volunteers, including Catherine De Bertrand. Ms De Bertrand, 37, helped to coordinate 18 hours of watches along the Dorset coast over the course of the nine-day event, leading to the three sightings of dolphins in the harbour. She also led a dedicated boat trip. “I got involved after they put out the appeal. It was about putting Dorset on the map,” said the former lecturer at Kingston Maurward College, who is also involved in the year-round dolphin-watching program at Durlston Country Park. The Dorset whale- and dolphin-watchers were among 2,500 volunteers across the country, a number that has grown every year since the scheme’s inception. There were all told an astonishing 1,410 sightings, from land and from sea, of cetaceans, the collective term for whales, dolphins and porpoises. “The wonderful thing about watching for whales and dolphins in the UK is that you don’t necessarily have to get on a boat to see them,” said Kathy James, a sightings officer for Sea Watch. “The Sea Watch Foundation holds hundreds of thousands of records which are used by scientists and governments to inform research and policy. The Sea Watch Foundation is seeking volunteers to come forward to take part in the National Whale and Dolphin Watch 2018, which takes place from July 28 to August 5. No experience is necessary, as the team at Sea Watch offers training and advice. The Dorset watch will again be overseen by Ms De Bertrand.